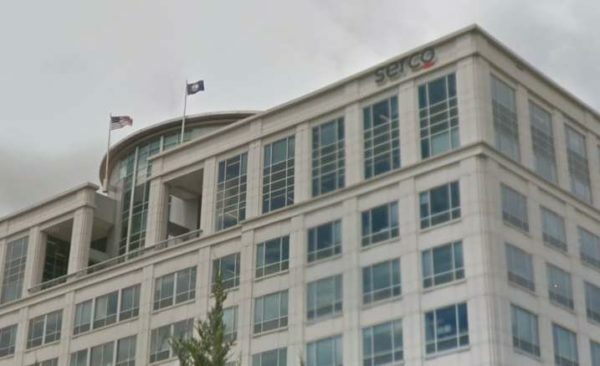 Herndon-based tech company Serco Inc. announced on Friday (March 8) that it would hire 200 new employees to support a new program. Serco said in a press release that it was awarded a contract to provide field office support services to the Pension Benefit Guaranty Corporation, a federal agency that protects the retirement incomes of workers in private-sector defined benefit pension plans. 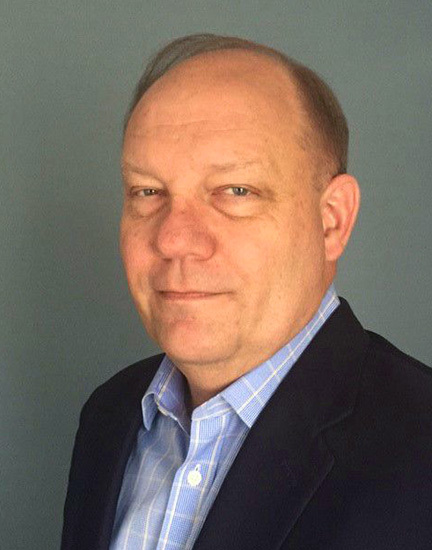 The new jobs will help Serco manage records and documents, conduct data analysis, build databases, provide customer service and more for the PBGC field offices. Serco Inc., a subsidy of Serco Group PLC, provides technology and management services by advising, designing, integrating and delivering solutions to clients. The Herndon-headquartered company has roughly 6,000 employees, according to its website. Furloughed federal employees affected by the government shutdown now can pay a reduced cost for summer camp. The Reston Community Center announced today (Jan. 15) that it will offer special summer camp fee waivers for affected families, allowing them to pay $10-$20 per child per week this summer. Families can pay $10 per child per week of camp, with some camps planned with half-days. They can also pay an extra $10 for “Zen Zone,” an after-care option for those in less than a full day of camp. Gorden said that she doesn’t want the shutdown — now the longest one in U.S. history — to deprive kids of their summer fun. She added that RCC will offer the fee waivers even if the government employees are called back to work soon. “The economic impact has already been profound for federal employees,” she said. 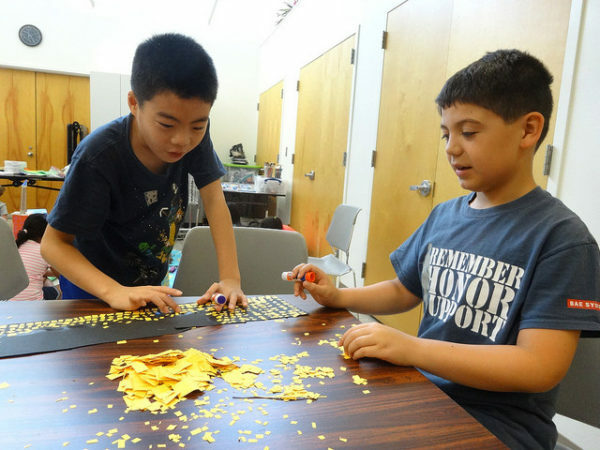 Reston Community Center’s summer camps include a variety of half-day and full-day options. Full-day camps let campers go on daily adventures to museums, water parks and more; create art; or practice theatre for a performance at RCC’s CenterStage (2310 Colts Neck Road). Options for half-day camps include cooking, woodworking, magic, community service, photography, STEM and more. RCC plans to host the Reston Camp Expo, which will have exhibitors from area nonprofits and Fairfax County government agencies, at RCC Hunters Woods (2310 Colts Neck Road) on Saturday, Jan. 26, from 9 a.m. to noon. Registration for summer camp begins on Feb. 1 for Restonians and on Feb. 8 for everyone else. 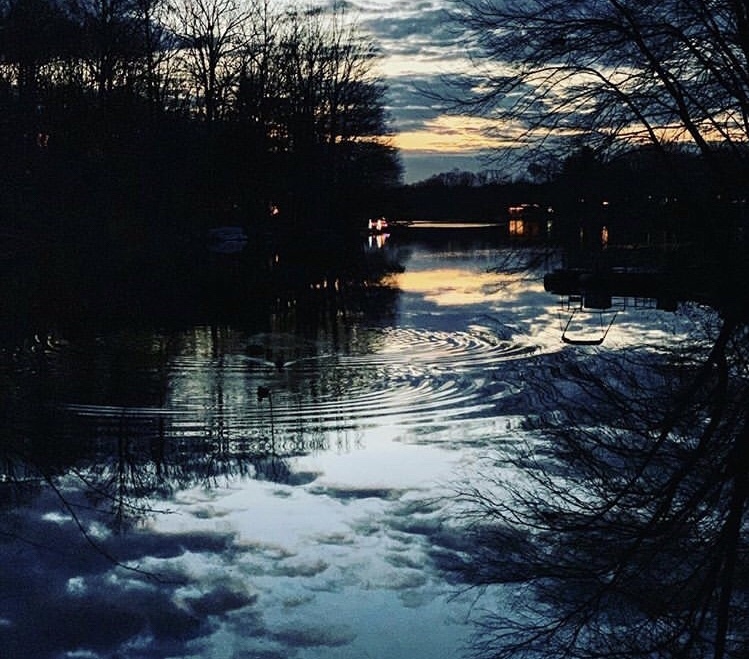 Families who live or work in Reston must present their federal government employee identification when registering for 2019 camp sessions. As the longest government shutdown in U.S. history continues, Fairfax County Public Schools is offering resources to furloughed government workers after most missed their first paycheck of the shutdown last Friday (Jan. 11). FCPS plans to hold a second hiring event for furloughed federal employees interested in substitute teaching positions. The hiring event last week hit capacity. The event is set for tomorrow (Jan. 15) from 2 p.m. to 4:30 p.m. at the FCPS Administration Center at 8115 Gatehouse Road in Falls Church, Va. Participants are encouraged beforehand to register, complete an application for employment and bring original documents required for the I-9 form I-9. FCPS’s “No Student Will Go Hungry” program is supporting families affected by the federal government shutdown by providing breakfast and lunch to all students regardless of their ability to pay or temporary financial circumstances. FCPS will also allow unpaid balances to accrue during the shutdown. Furloughed workers can also look at Fairfax County’s resources online, including a Human Services Guide to seek assistance from nonprofits and a list of free or low-cost events at county libraries and parks. The county also plans to have a “Stuff the Bus” event on Saturday (Jan. 19) where locals can bring food and cash donations to support local nonprofit food pantries. One of the collection spots will be the Fox Mill Giant (2551 John Milton Drive) in Herndon from 9:30 a.m. to 4:30 p.m.
Food, utility and rent assistance is available from the county’s Health and Human Services agencies. Fairfax County Public Schools is expediating the hiring of furloughed government workers as new substitute teachers for the district. As the partial federal government shutdown nears its 19th day, the Dulles Regional Chamber of Commerce will host a free panel on Thursday to help companies and workers prepare for a long shutdown. Certified public accountants, bankers, insurance experts and lawyers will provide advice during the panel from 4 p.m. to 5:15 p.m. at the Hilton Washington Dulles Airport Hotel (13869 Park Center Road) in Herndon on Jan. 10. The individuals from the financial, legal and insurance industries will talk about the direct and indirect cost of the shutdown, along with how companies can remain solvent and what are the different options for their employees. They will also give advice on remedies available to government contractors, what to do when this shutdown ends and how to prepare for a future shutdown. The free panel is intended to help workers and local businesses of all sizes “mitigate the adverse effects the federal government shutdown and be ready to go when this shutdown ends,” Dulles Regional Chamber of Commerce President and CEO John Boylan said in a press release. “Our region is disproportionately affected by federal government shutdowns, and the impact reaches deep into our community,” Boylan said. More than 35 percent of Reston Now readers said in a poll on Jan. 3 that the shutdown affects them, with roughly 22 percent indicating they are federal workers. The partial federal government shutdown started on Dec. 22 after Congress and the White House failed to reach a spending deal. It remains unclear if or when the White House and congressional Democrats could negotiate a deal as President Donald Trump keeps a firm stand for $5 billion to pay for a border wall. “Beyond the direct effect felt among our friends and colleagues within the federal government, this shutdown imposes a real burden on many of the businesses in our region, especially contractors and subcontractors who are increasingly pressured each day this shutdown continues,” Boylan said. Participants are encouraged to register for the event. Poll: Are You Affected by the Government Shutdown? The partial federal government shutdown is nearing the two-week mark with no immediate end in sight. Parts of the federal government shut down on Saturday, Dec. 22, after Congress and the White House failed to reach a spending deal. It remains unclear if or when the White House and congressional Democrats could negotiate a deal as President Donald Trump keeps a firm stand for $5 billion to pay for a border wall. Yesterday (Jan. 2), Smithsonian museums and the National Zoo closed, joining National Parks around the country, according to news reports. Even though people got very concerned very quickly after the zoo’s beloved live “panda cam” went dark, the pandas and other animals will continue to get fed. One place not affected by the shutdown — the Newseum — is offering federal workers who show their badge free admission. Now, on day 13, let us know if your work or D.C. plans have been affected by the shutdown. Former Vice President Al Gore entitled his book on climate change “An Inconvenient Truth.” Many years have passed, but the truth he put forth that the climate is changing and that human behavior is causing it may continue to be inconvenient for a few to acknowledge because of personal biases, ignorance or financial interests. But climate change is even truer today than when Gore first focused public attention on it and its causes. Over the last several weeks I have written three columns in this space on the findings of the Intergovernmental Panel on Climate Change brought together by the United Nations. It issued a report last month, written and edited by 91 scientists from 40 countries and based on a review of more than 6,000 scientific reports, predicting much more dire consequences of climate change much earlier than previously had been expected. As clear as the evidence is about climate change and the near unanimous endorsement of it by climate scientists, the current federal executive branch continues to ignore this truth. Ideally, a national response to climate change could ensure the effectiveness of mitigation and other responses to our country and the globe. Since that seems unlikely in the next few years, state governments must step up. I share the concern that the pace of state action seems too slow, but progress is being made. Last year in Virginia we moved forward with grid transformation that will allow consumers and utilities to have the information needed to make informed decisions on their electricity usage. The best way to eliminate the need for more electricity is to reduce demand even as the population grows and the economy expands. Since 2015 the solar capacity in Virginia has increased by more than 700 times to 825 megawatts — still a small number, but we are clearly on our way. Beginning on October 1, Virginians will be able to obtain through the local offices of the Department of Motor Vehicles a REAL ID that complies with federal regulations to prove their identity. While having state-issued, federally-approved identification to prove who you are is offensive to many, the practical use of the REAL ID will result in most if not all complying with its requirements. The REAL ID came about from recommendations of the 9/11 Commission studying ways to improve security to prevent other horrible terrorist acts from happening. Half of the September 11 hijackers had received driver’s licenses in Virginia. Congress passed an act to help prevent terrorist attacks and to reduce the number of licenses issued to undocumented residents. It established the requirements for states to follow in issuing driver’s licenses, and the program is implemented by the Department of Homeland Security. Under the congressionally passed law, states are required to issue licenses only to applicants who provide in-person proof of their identity and legal U.S. residency. The new cards must use the latest counterfeit-resistant security features. Half the states are now in compliance with the new federal law, and others like Virginia have been working hard to put the new system into place. Beginning in the fall of 2020, persons who want to board a commercial flight must present a REAL ID or an alternative form of acceptable identification. Likewise, persons entering federal facilities must present a REAL ID. The DMV-issued credential will meet the requirement of REAL ID and will allow holders to access federal buildings, including military installations, and board commercial flights. Obtaining a REAL ID when you renew your driver’s license is voluntary. That is what I intend to do. I do not want to have to remember to make a special trip to the DMV in the future to prove my identity for a REAL ID when I can do it as part of renewing my driver’s license. To get a REAL ID you must apply in person and provide DMV with physical documentation of identity, such as an unexpired U.S. passport or a U.S. birth certificate and provide your legal presence through the same documentation. And yes, there is an additional one-time fee of $10 to help pay for the new cards. Hopefully you can visit a DMV office when they are not too busy. But you do need to go in person and take the time to meet the requirements. Important news for those who do not drive and hence do not have a driver’s license: You can get a REAL ID through the same process just described to use for entering federal facilities, boarding commercial flights and voting. Need more information? The DMV website is filled with full details. Check my interview with Commissioner Rick Holcomb of the DMV on YouTube after October 10 or watch it on Reston Comcast Channel 28 for public service programming or Verizon Channel 1981 at 7:30 p.m. on Tuesday, October 23 or at 10:30 p.m. on Wednesday, October 24. The only common requirement for holding elective office is that one be a registered voter in the state meaning then of course that you must be at least 18 years of age. You do not need to be a resident of the district you hope to represent although you will have to move into the district if you win. The concept of a citizen legislature is that it is made up of people from all walks of life in the community who can collectively speak for the community at large. Supposedly there would be no professional politicians–just regular every-day folks. Such an approach should work out well to have the community broadly represented. In the past, because of laws and practices, most legislatures have been filled mostly with old white men. Recent years have seen a shift including in Virginia as more women are running for office and getting elected. This year has more women, young people, and people of color running than ever before. With the diversification of who sits in the legislature the challenge becomes taking people of many different backgrounds, perspectives and constituencies and bringing them together to work for consensus on legislation to get a majority vote. While skills acquired in business and civic activities teach many of the soft skills of interpersonal relationships and team building that are transferable to a legislative body, there are unique differences that are important to recognize. Most legislatures with whom I am familiar have orientation programs to acquaint new members with where the bathrooms are, rules of order in committee meetings and on the floor, and operating procedures around the capitol. Putting legislation together, developing a strategy for its passage, and keeping constituents back home happy are most often handled by the political party caucuses or helpful mentors. Another source of in-service training I have found invaluable are conferences put together by professional associations, specifically the National Conference of State Legislatures (NCSL). I am at their national conference this week. 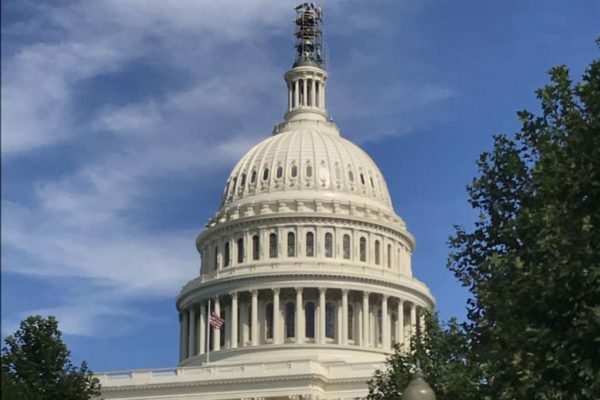 NCSL keeps up with what is happening in state capitols around the country and through publications, conferences and consultancy keeps legislators informed. The association is truly non-partisan, although its leadership–chosen from among state legislators across the country–maintain their party allegiance while the staff is able to stay out of the partisanship. Virginia of course had the first representative legislature in the western world beginning in 1619. Not everyone followed the Virginia model however in writing their constitution of organizing their legislatures. I continue to be amazed as I work with colleagues from around the country as to the number of different ways that legislative bodies can organize themselves and do their business. No one has a corner on the best way to do the people’s business, but we can learn from taking a look at how other states conduct their business. NCSL refers to the states as the laboratories of democracy. The description is appropriate as we all face mostly the same challenges. Our responses are different, however. By getting together for what some would call a conference, but what I think is more appropriately called in-service training, we can do a better job for the people we represent. 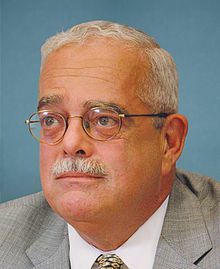 As the federal government inches closer to a possible shutdown at the end of the week, Rep. Gerry Connolly (D-Va.) says the local economy would be severely affected if no agreement is found. Tuesday is Election Day, and Virginia voters will go to the polls to elect a governor, lieutenant governor, attorney general, sheriff and state delegate. 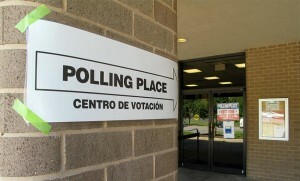 Voters in Fairfax County will also vote Yes or No on a $250 million school bond issue. With Terry McAuliffe leading in the polls, will voters return a Democrat to the Governors Mansion in Richmond? Or will Virginia Attorney Ken Cuccinelli head the commonwealth? And what impact will Libertarian Robert Sarvis, who has been polling with about 10 percent, have on the outcome of the governor’s race? 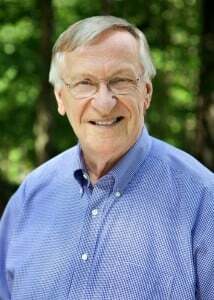 In Reston, longtime Virginia Del. Ken Plum (D-36th) is running unopposed. 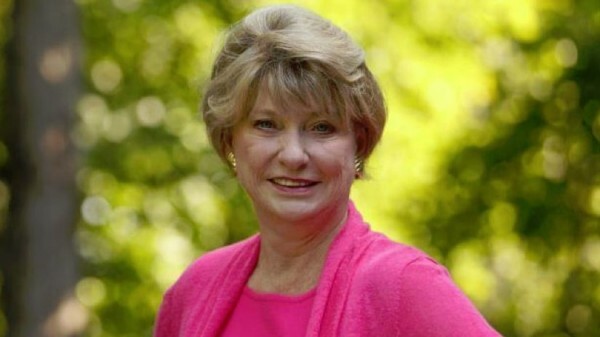 In the nearby 86th District, newcomer Jennifer Boysko (D) is taking on incumbent Republican Tom Rust. 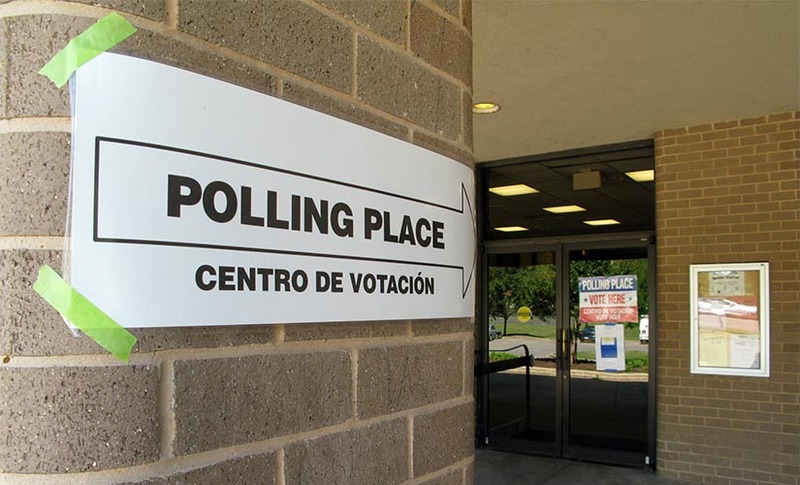 Polls are open from 6 a.m. to 7 p.m. For more Election Day details, visit the Virginia Board of Elections website. Here is a quick guide to the candidates.